If you will ask me what part of South Korea I like most, I would say Seoul, and I will not be surprised if other foreigners will answer the same. Branded as the second largest metropolitan area in the world, Seoul is the perfect place to represent South Korea. However, only few foreigners have the chance to experience the lifestyle in the rural areas. Beyond the gourmet restaurants in the major cities, Korean culture can be deeply sensed in small cities and villages that are not known to people outside Korea. This could be a source of livelihood for one family in the Philippines, but Koreans usually grow their own vegetables in their backyard for their own consumption. I like how Koreans manage their farm or even their gardens. They are so initiative when it comes to farming. No wonder they have the best crops and they even surpassed China when it comes to agriculture. I observed three farming ideas that we must follow to improve our agricultural products, let me introduce to you one by one. 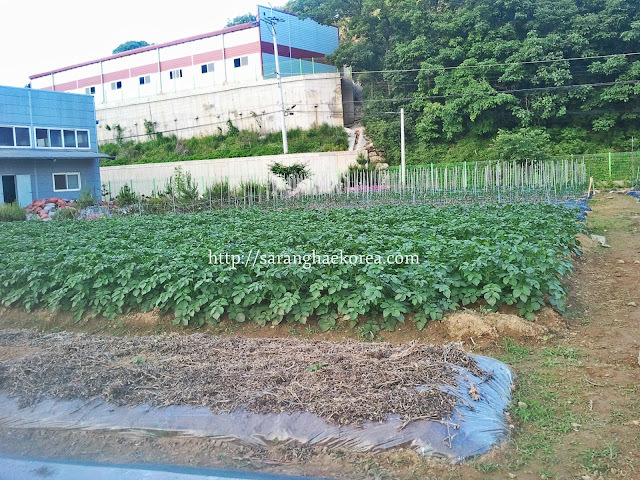 It is amazing how Koreans manage to grow their crops without the use of pesticides or chemical fertilizers. Did you see this thing here? Yes, that is an animal dung. Instead of using fertilizers, they use this as an alternative. The manure is very effective in fertilizing the soil. If we can just collect animal dung (yes, it takes an effort like that), it is better than using the processed fertilizer. Aside from the cost, we don't know how it affects our environment. I didn't see also some pests over the plant's leaves or even flying insects. I don't know how they did that but I am sure they did not apply any pesticides. It could be because of the clean environment that these plants grow so healthy and safe from pests. 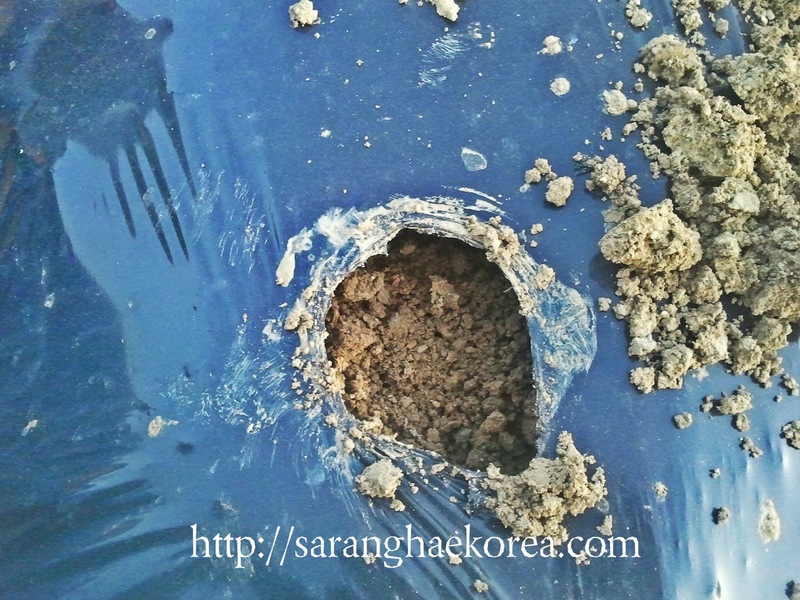 Most Koreans practice the Indigenous Microorganism or IMO technique in their agriculture. 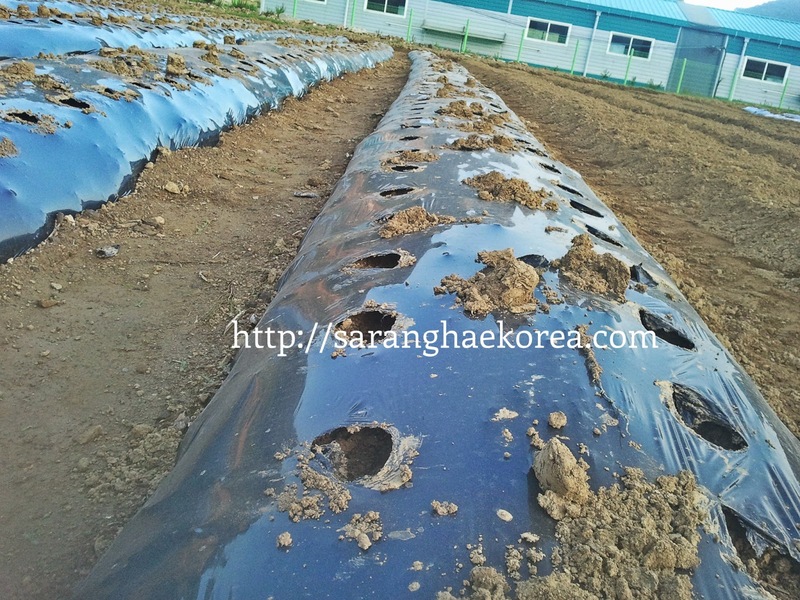 Ever wonder why Koreans used to wrap their soil with plastic films like this? There are a lot of reasons why they do this. First is to keep the perky weeds from growing near the plant. 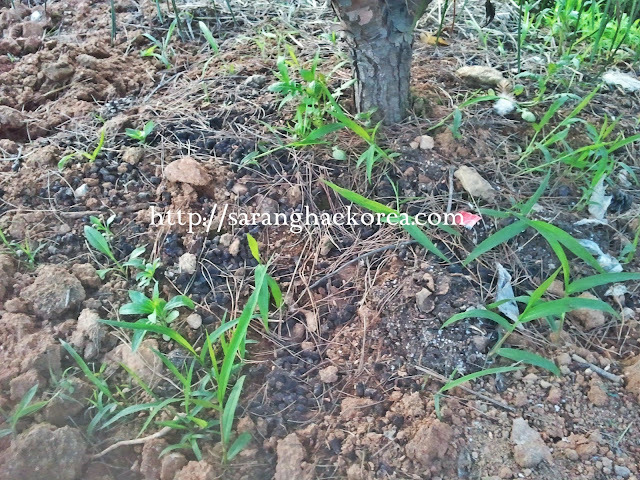 Second is to protect the soil from erosion. And third is for vegetable insulation. Basically, what they will do is to compile the soil, then they will wrap it with Polyethylene or the plastic film and create enough hole to accommodate the seed of the plant. Like any other countries in Southeast Asia, rice is one of the major food in Korean diet. That is why they have given rice agriculture great emphasis to yield bigger production. Through modern farming technique, Koreans were able to plant rice in the fastest way possible. They are using rice transplanter for a fuss-free planting. These mat type nursery cakes are being arranged adjacent to each other at the side of the paddy field. Through the use of the transplanter, this will be distributed evenly onto the field and it would take 5 minutes to finish one line compared to the cumbersome traditional process of planting.. I am really amaze with Korean farmings. I can see how farmers yield greater result in any measurable metrics. 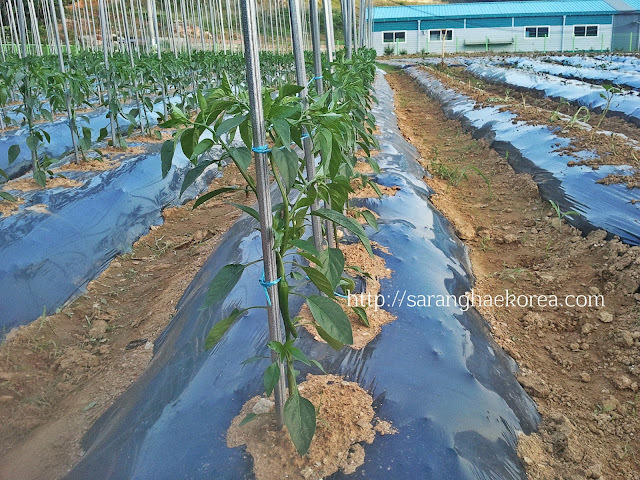 Natural farming at par excellence with better yield and better quality, the world would be better if we cultivate our lands the Korean way. What baffles me is that Korea is mountainous and small, and yet it is self-sufficient with rice. The country only imports rice to fulfill its trading obligations. Oh, I have two pots that I plant with green onions so I can save on them. 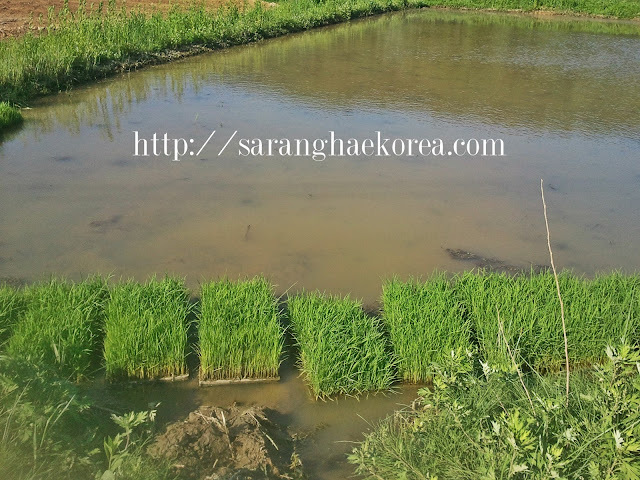 I love Korea... when I was a child I used to watch the people plant the rice by hand- such a beautiful sight, but such hard work. Koreans are an inventive and creative people. Great . I visited South Korea to give keynote address at World Hydrogen Energy Conference 2014 at Gwangjo,June 15 to 20 , 2014. I could see the tremendous development of South Korea in all fields. I was really amazed by their agricultural practices. In fact I want to promote some of them in India.